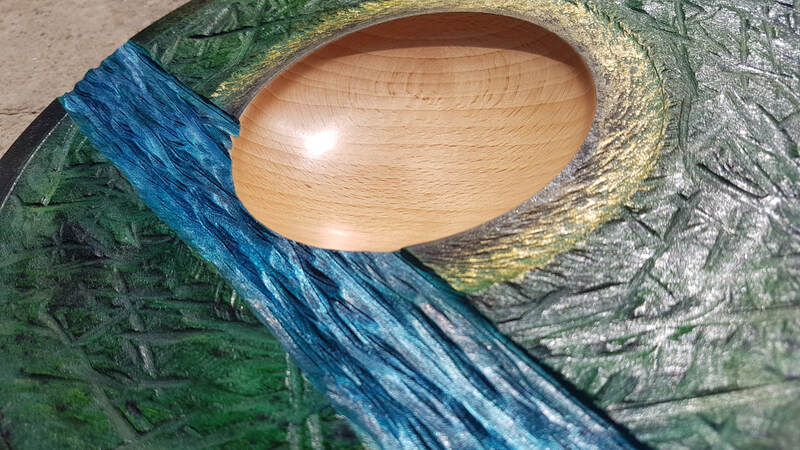 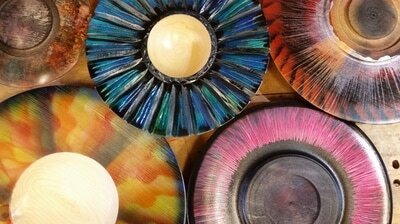 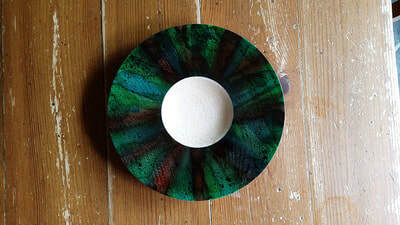 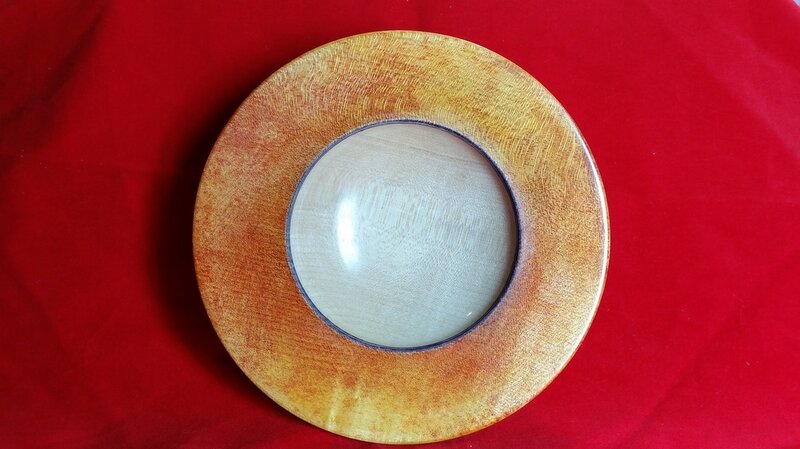 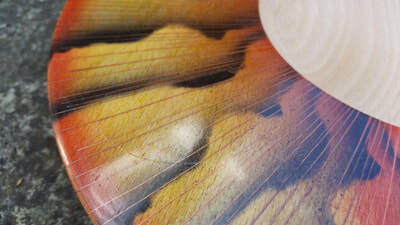 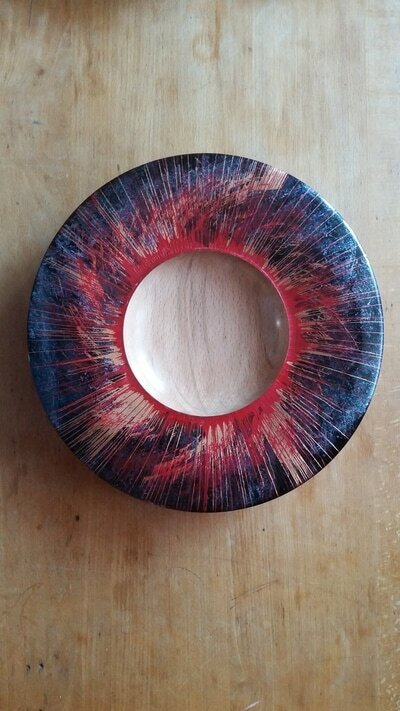 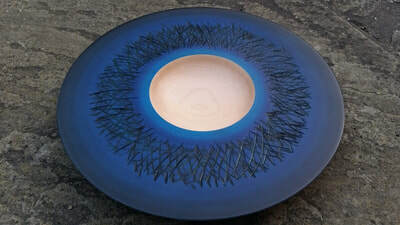 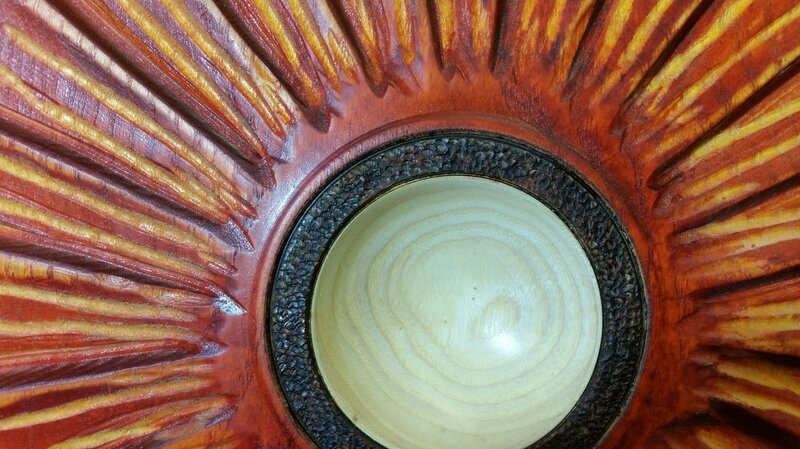 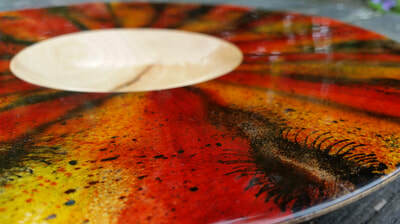 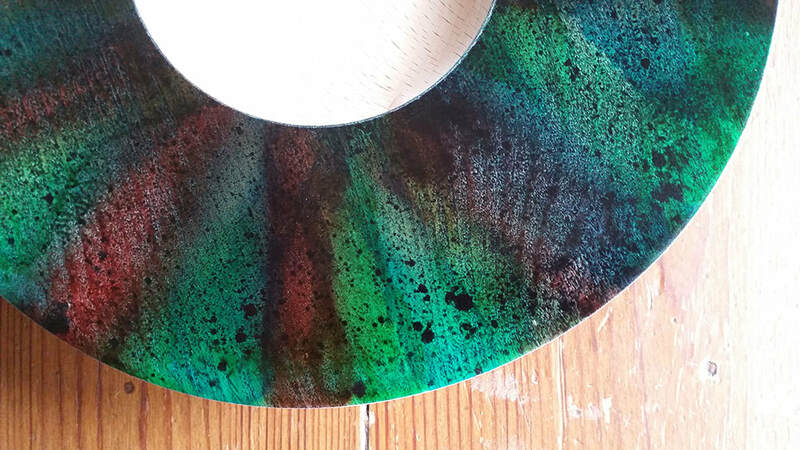 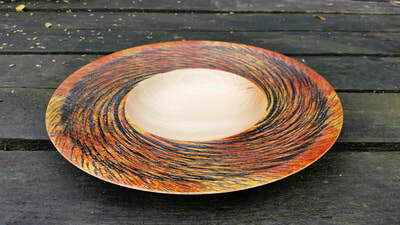 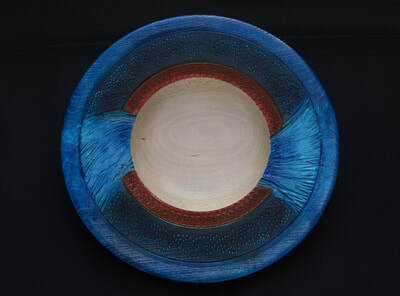 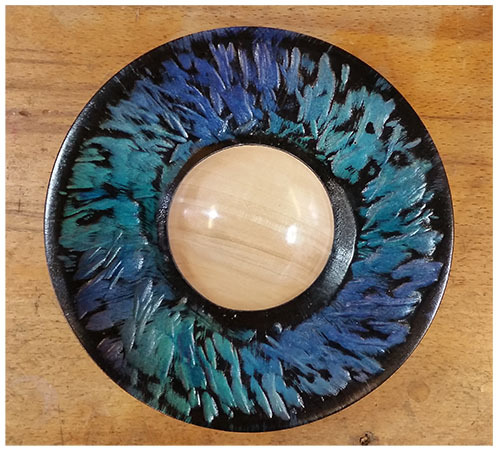 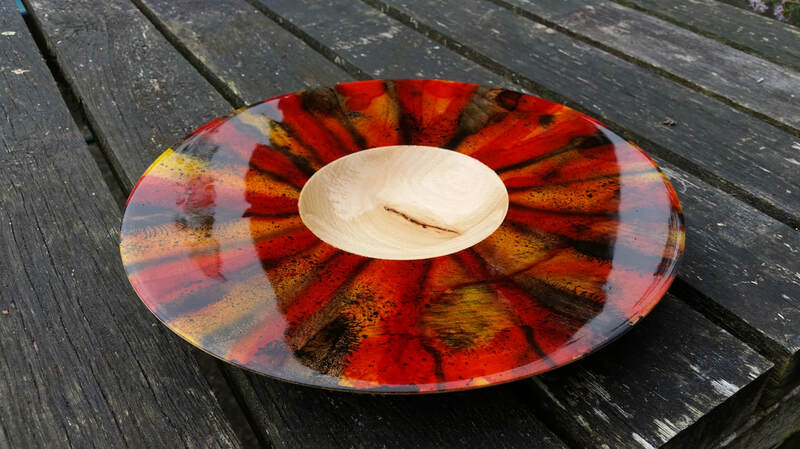 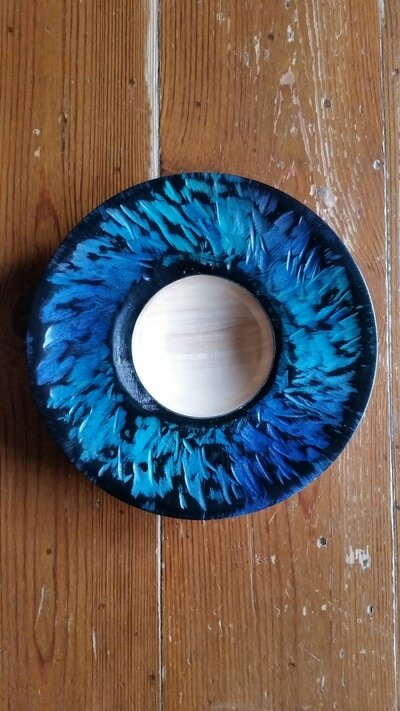 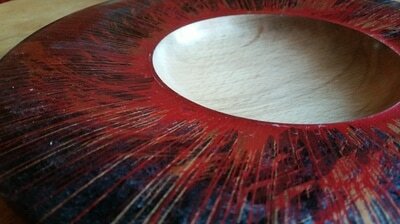 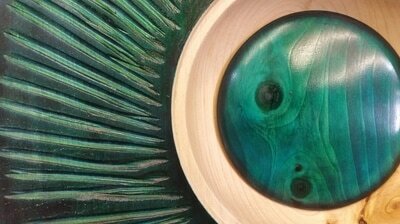 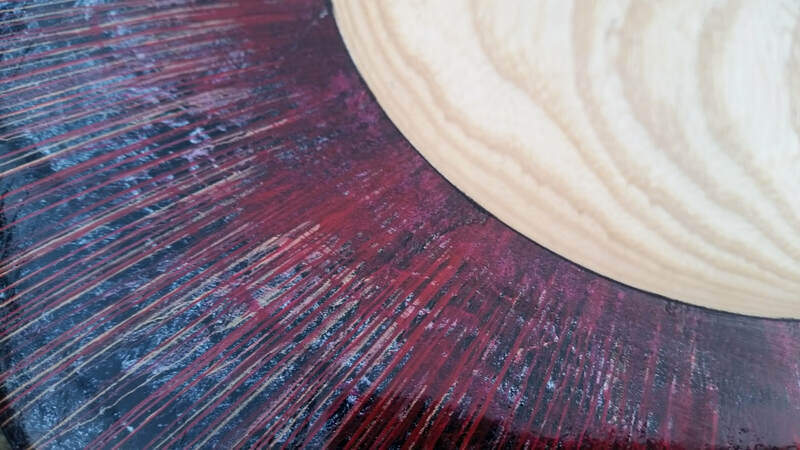 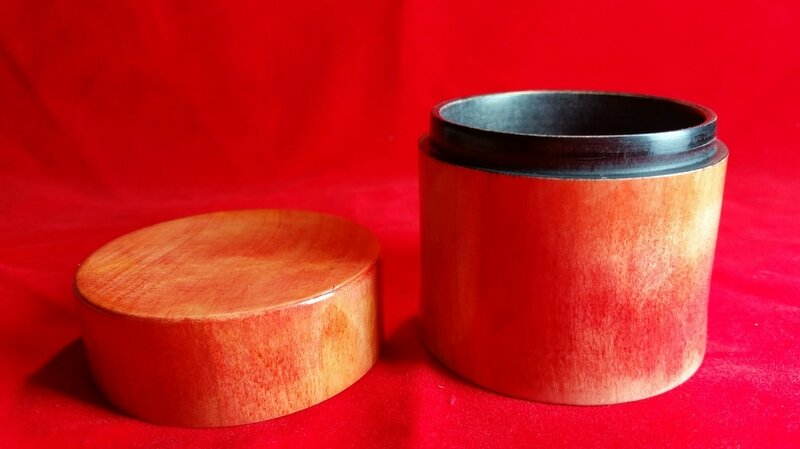 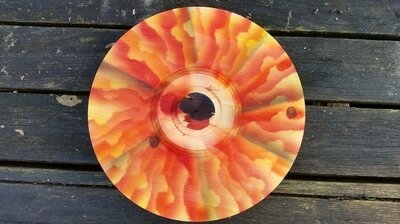 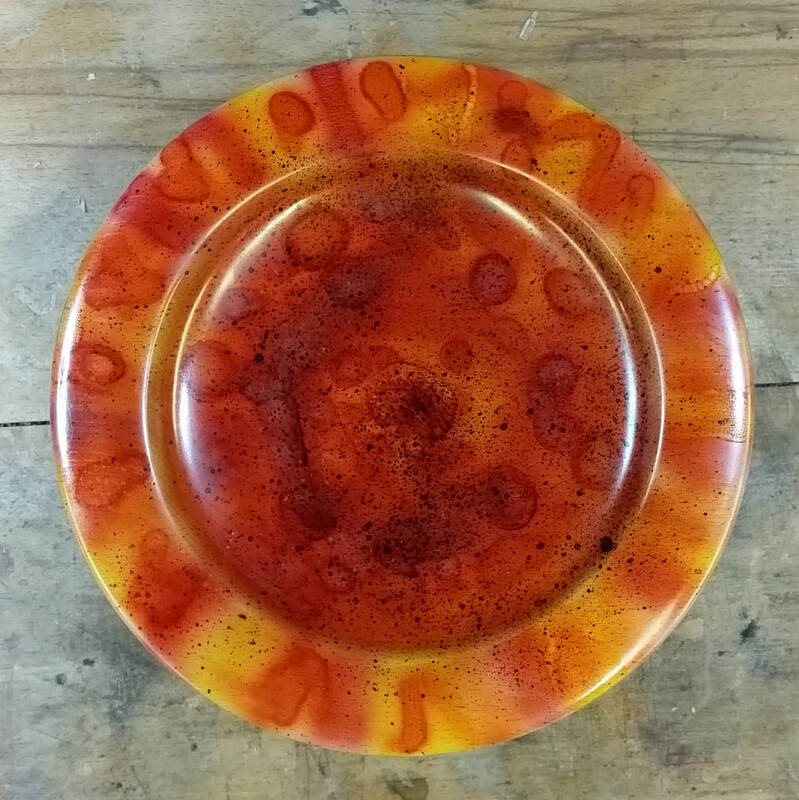 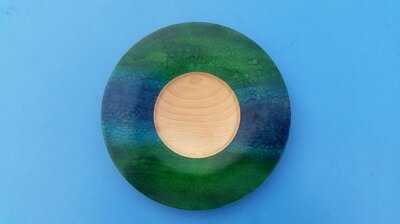 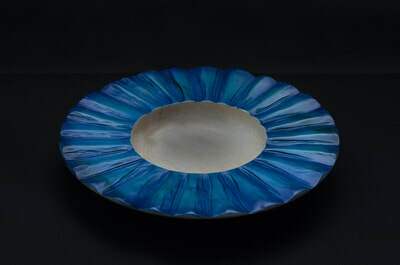 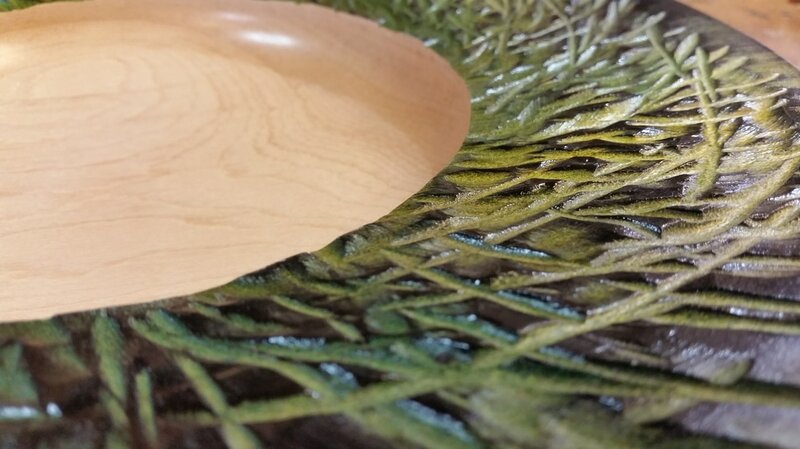 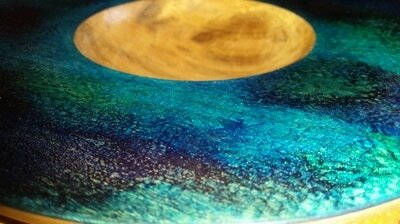 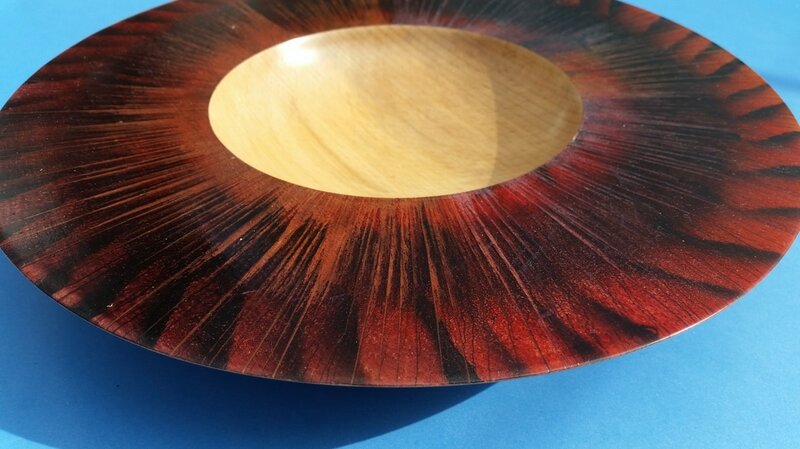 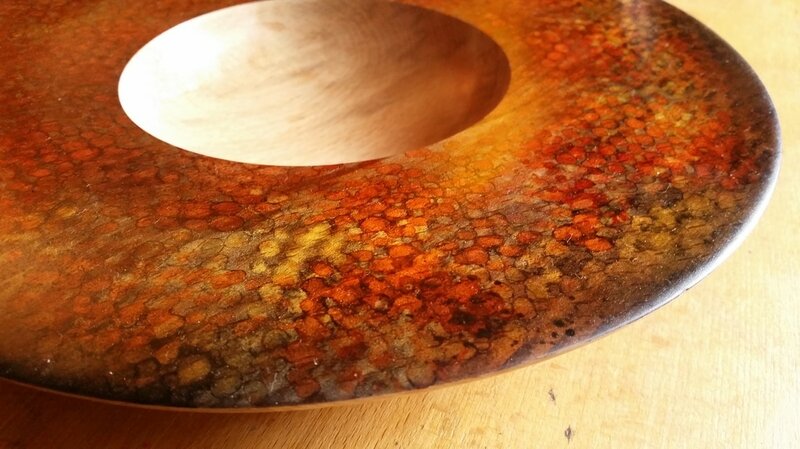 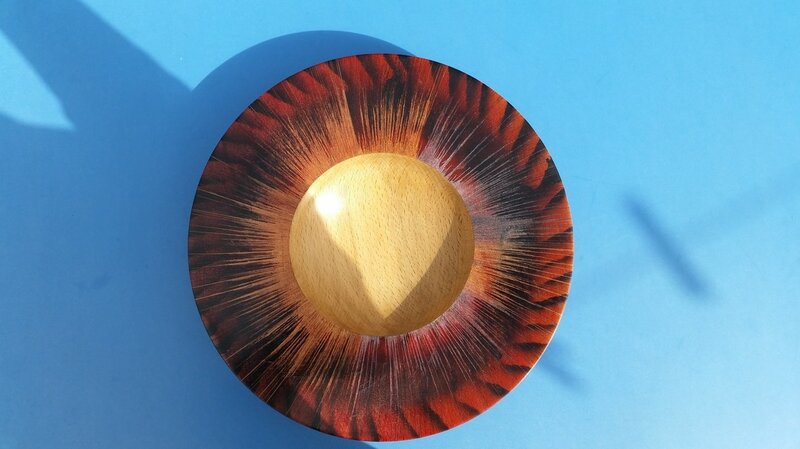 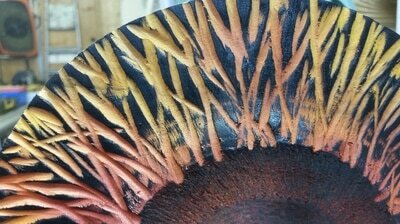 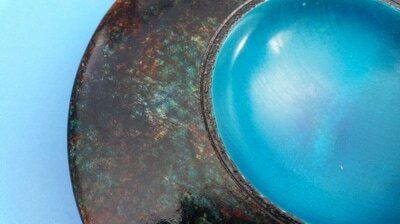 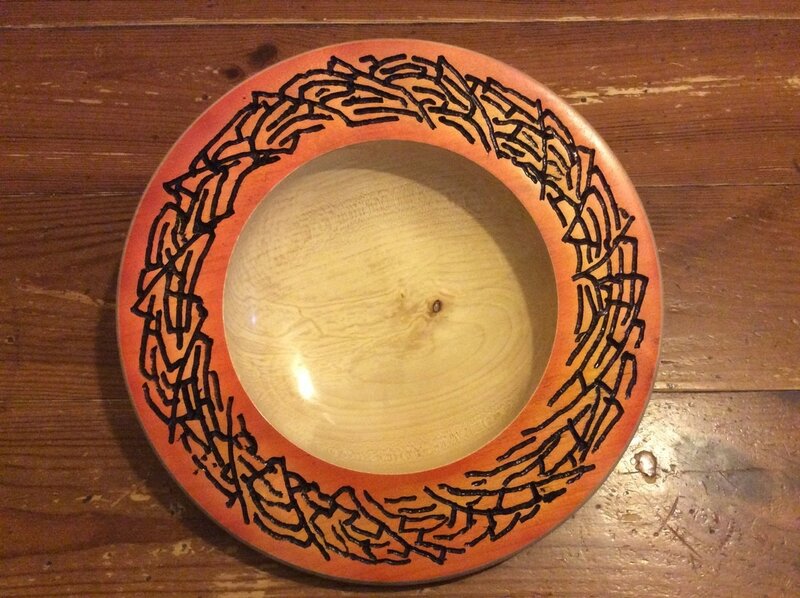 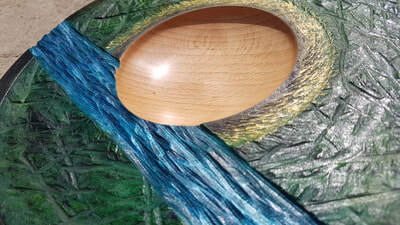 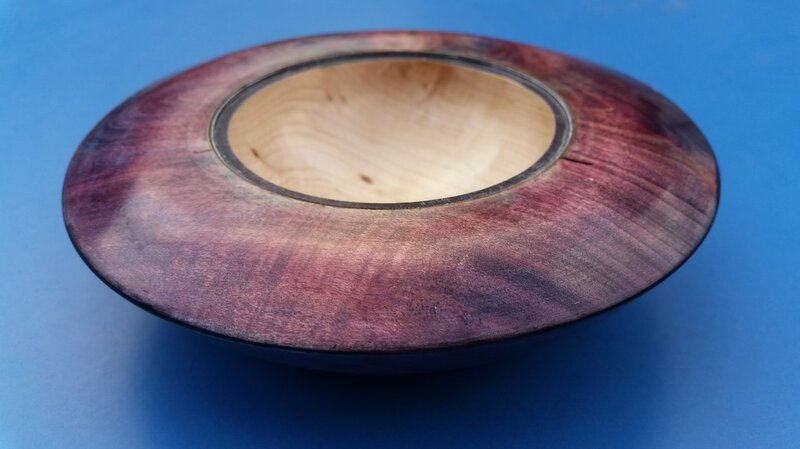 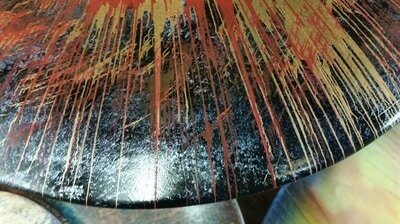 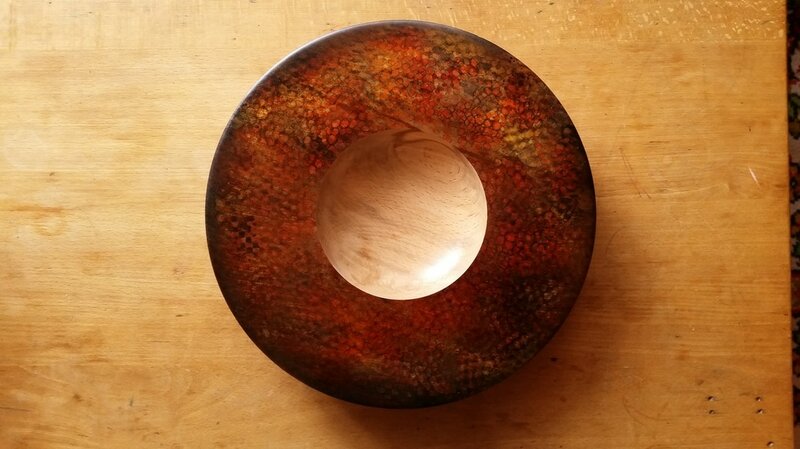 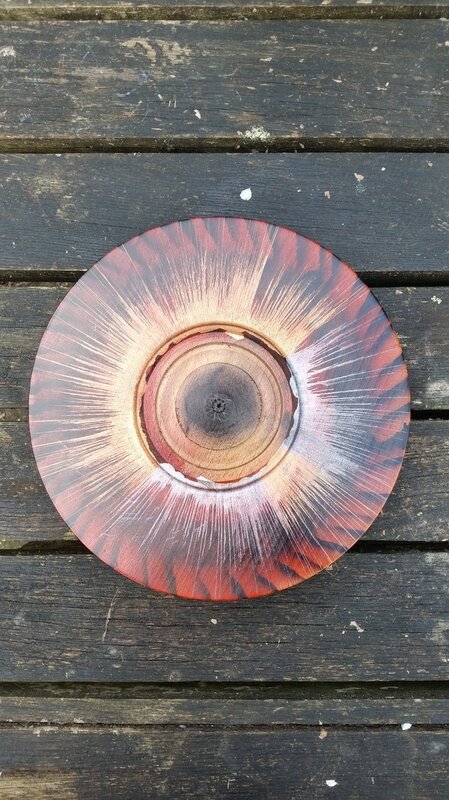 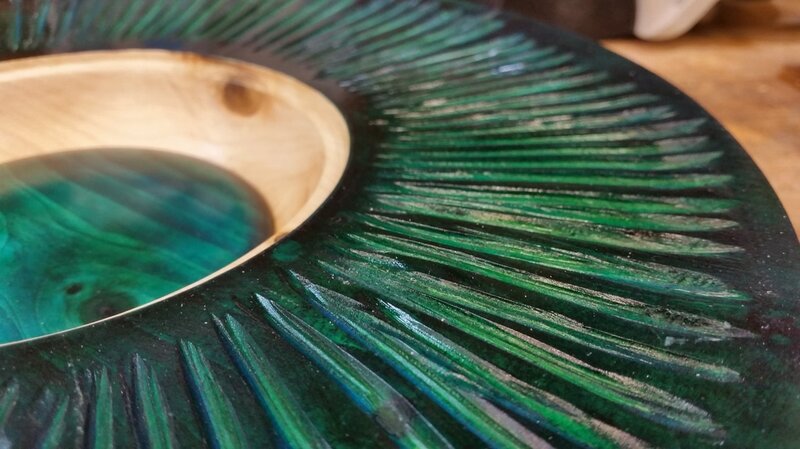 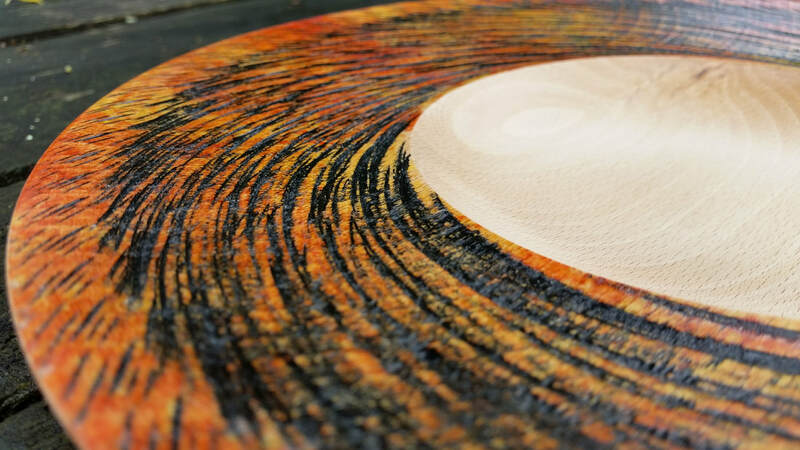 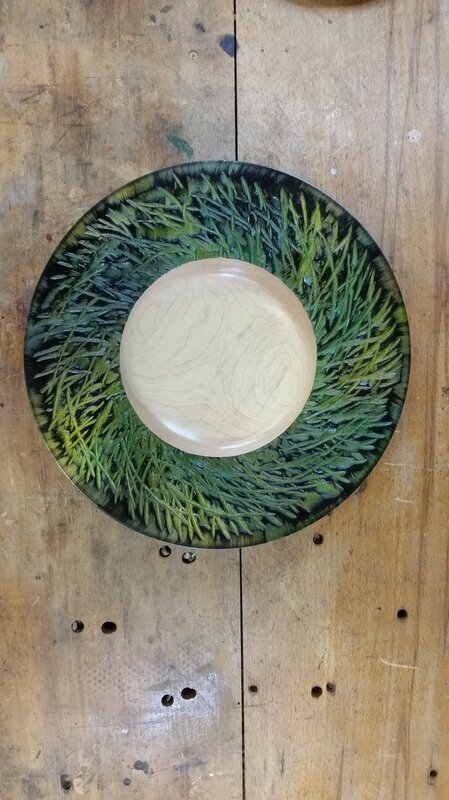 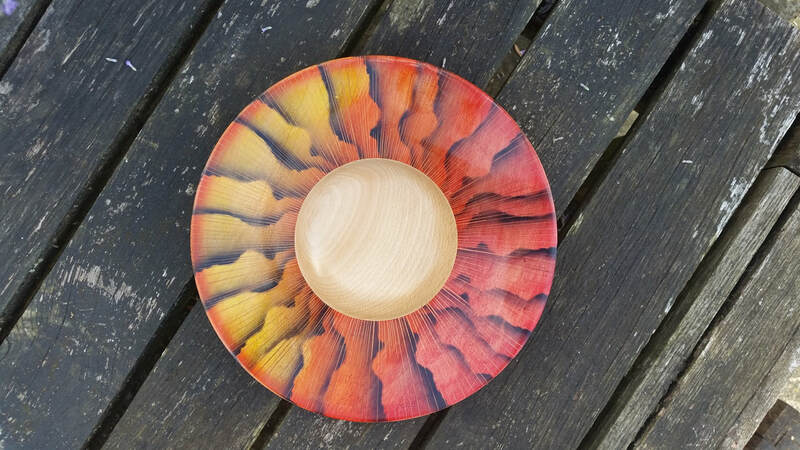 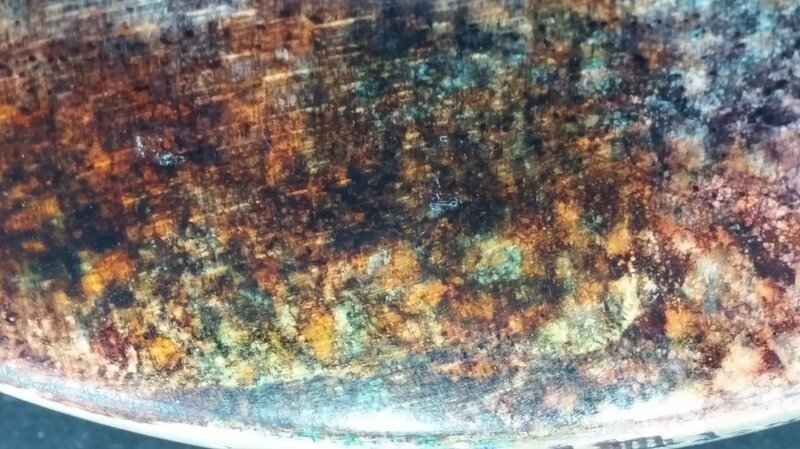 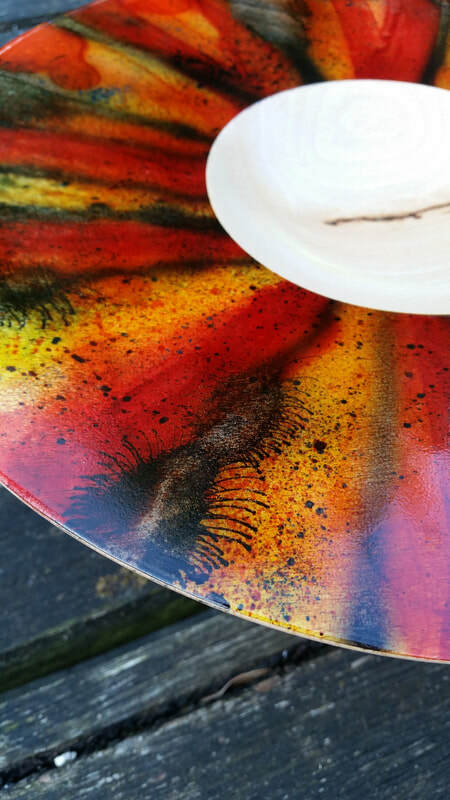 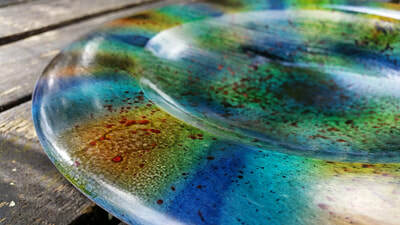 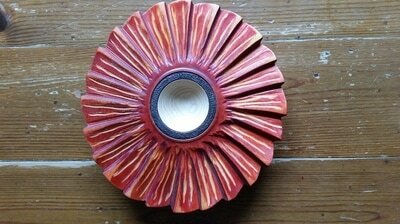 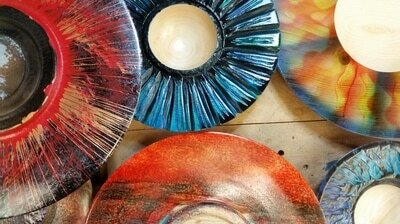 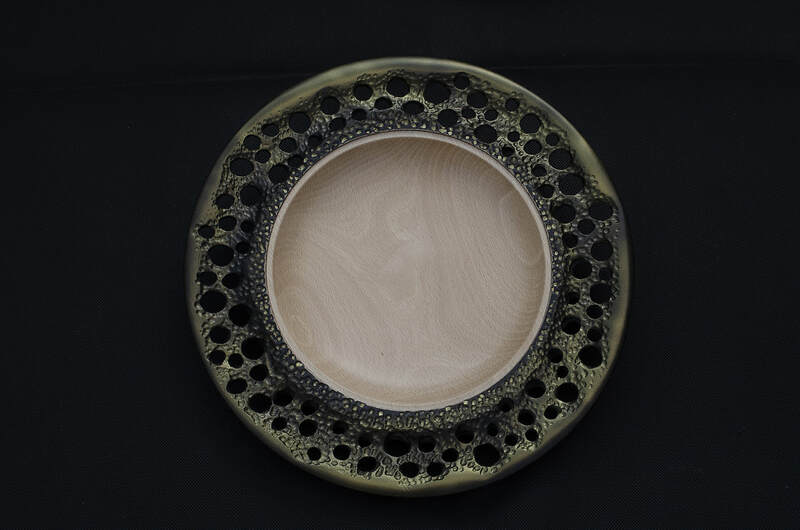 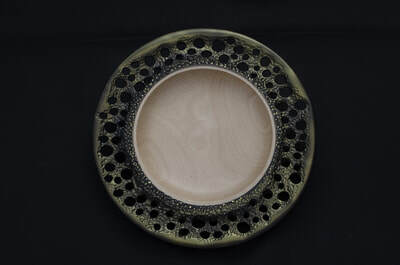 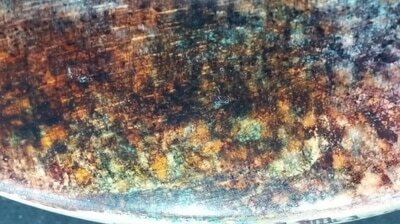 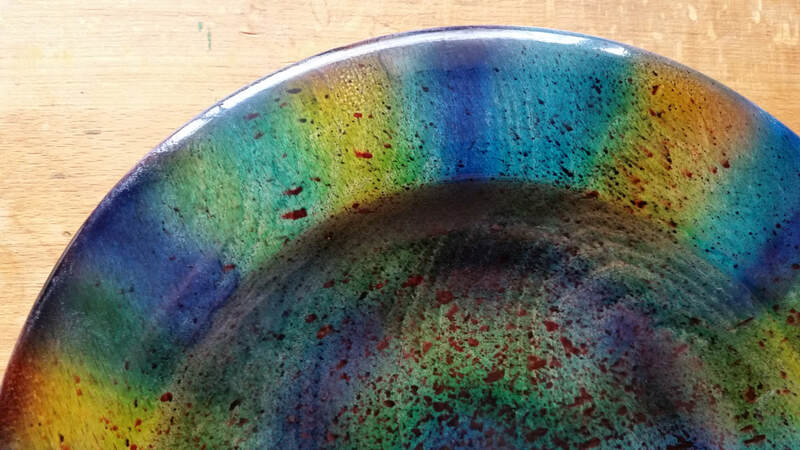 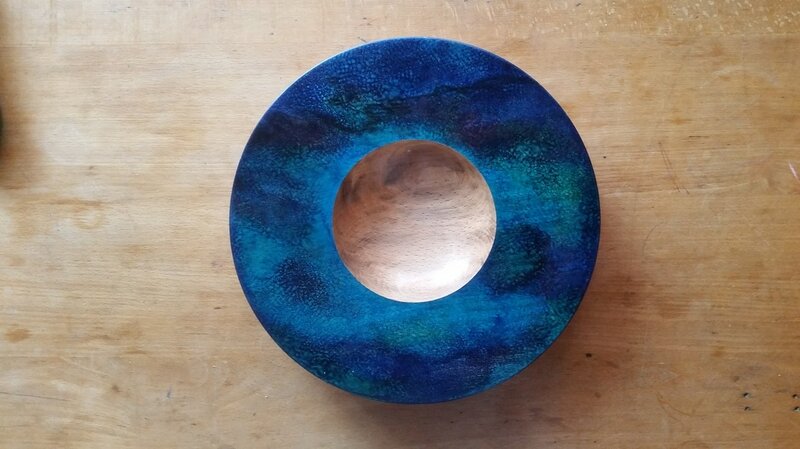 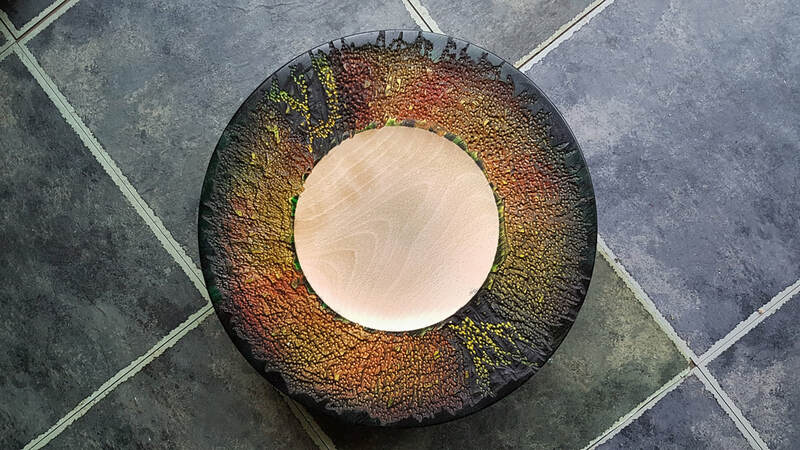 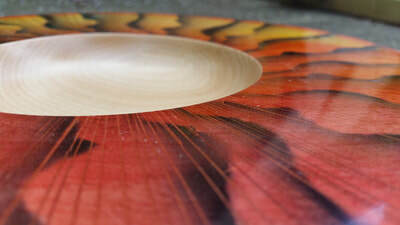 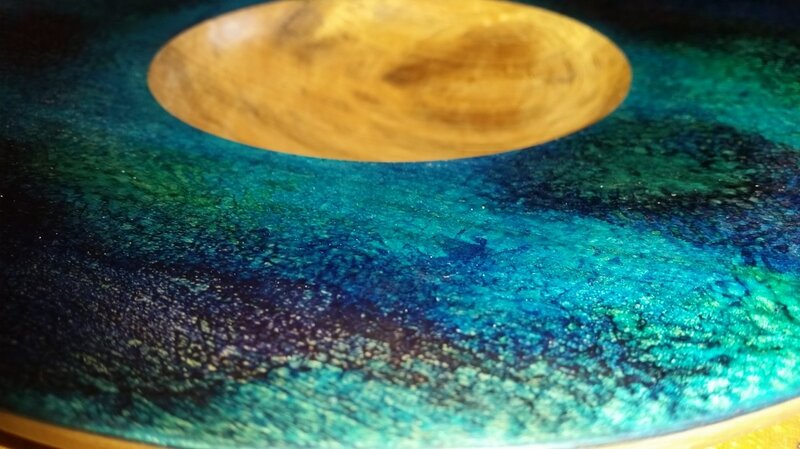 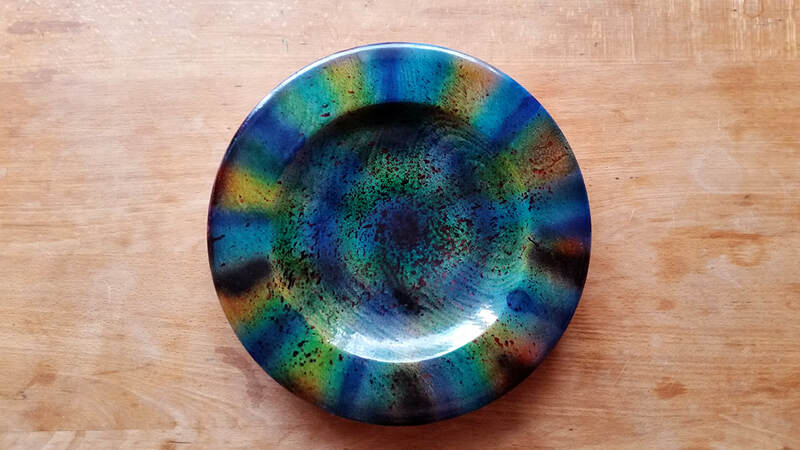 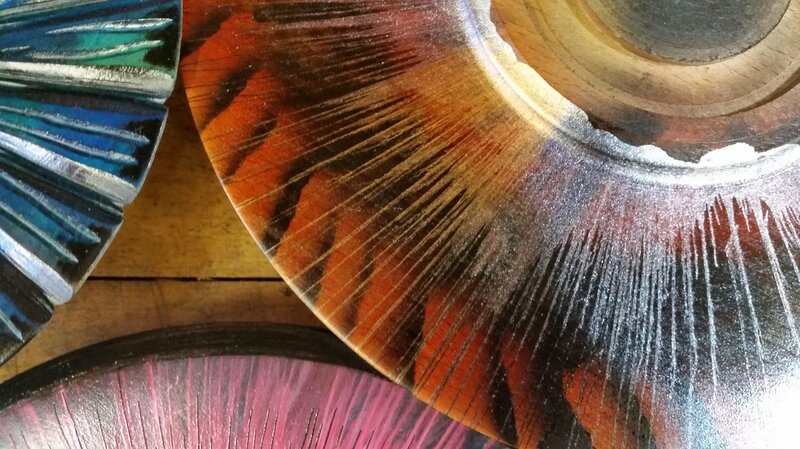 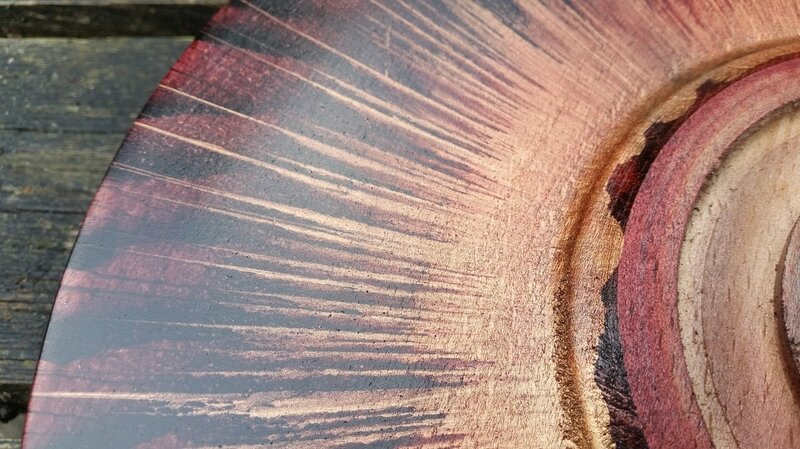 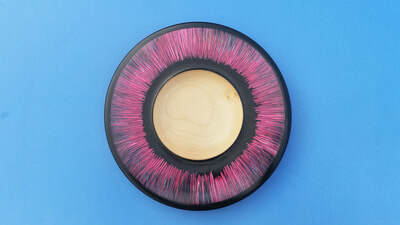 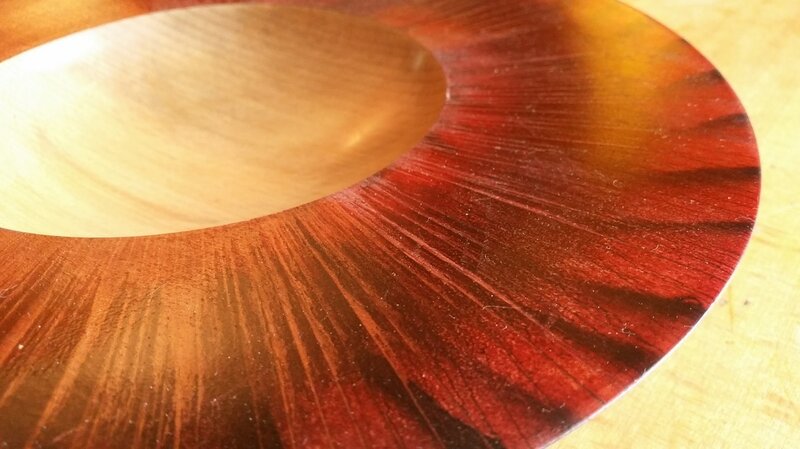 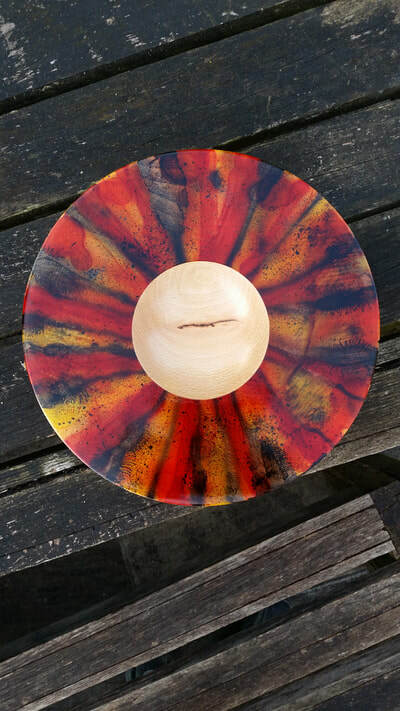 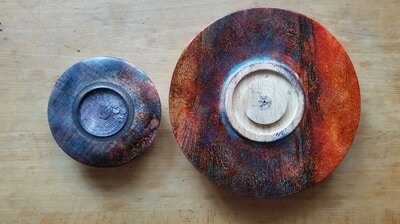 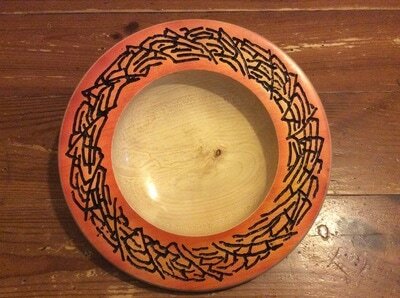 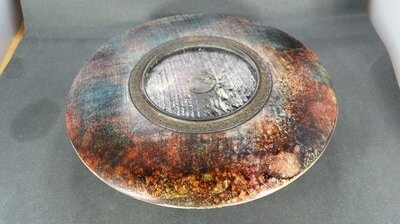 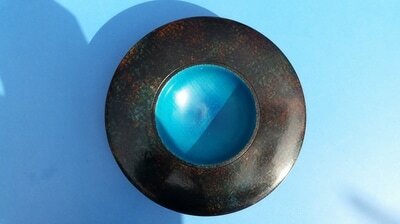 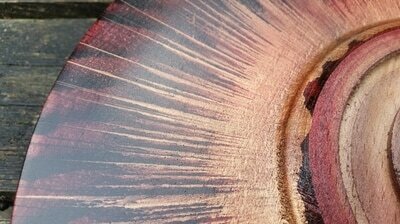 More recently, I have started adding texture and colour to some of my turnings. 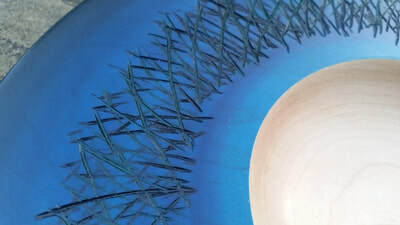 Texture is added with a range of tools and techniques, including a Proxxon mini-grinder with mini-arbortech wheels and a Robert Sorby texture tool. 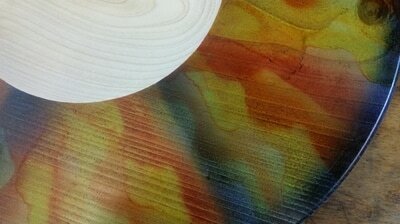 Colour is applied in a range of ways, including airbrushing. 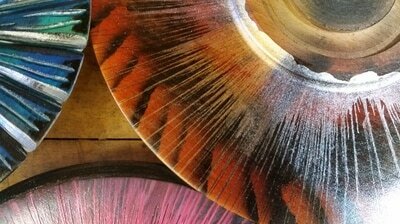 The colours I mostly use are Chestnut spirit stains and acrylic paint. 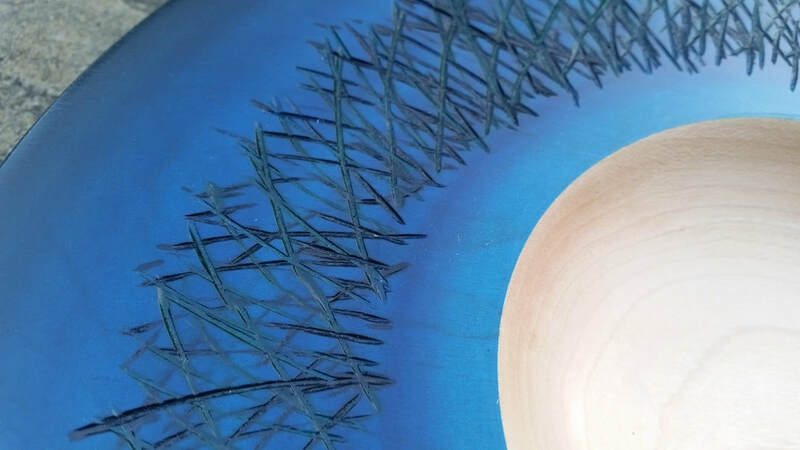 The Video Gallery shows some of these techniques in more detail. 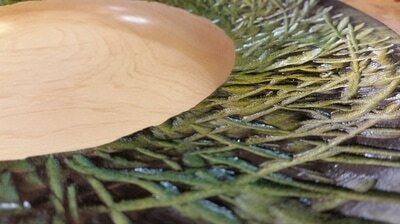 Some of these pictures are of work in progress.